Dubois — say it like “cowboys.” It’s one of the last real old West towns — a charming hidden gem with the authentic feel of the Frontier. 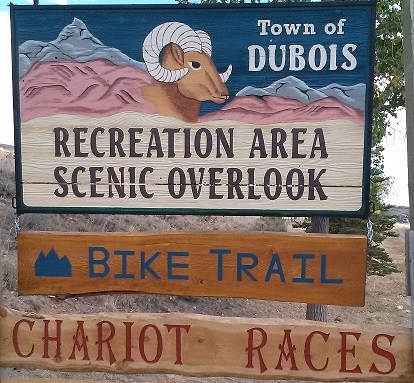 Expedia calls Dubois the best place for an escape in Wyoming. Barely an hour from Yellowstone and Grand Teton National Park over a smooth, scenic highway, it’s peaceful here in the Wind River Valley. But there are so many things to do! Ask for an information package to help you discover Dubois now! And when you arrive, be sure to stop by our Visitor Center. People in Dubois love an event, and we have all you need to create great memories. Channel your inner cowboy at the square dance or the rodeo. Take a fresh view of the fabulous landscape at one of the many art shows, or join a geology tour. Click below to see what’s going on now! Contact Us | Destination Dubois ©2019 | Proudly Generated By Wyoming Inc.